Join now and enjoy our special offers and exclusive discounts. My doctor was amazed when I showed up at his office 3 days after my surgery and my incisions were already healed! He wanted to know what I did. I told him I was using Miracle Serum from Essona Organics. I had terrible, stubborn acne and red blotches on my face. I've tried every acne product on the market and was always disappointed with the results. Two days after I started my customized Essona Skin Care Regimen, I was surprised and delighted to find my acne and red spots had already started clearing up. The longer I use the products, the better my skin gets. You have a customer for life! I am 79 years old and have been using Essona products for a few months. My skin color has evened and my wrinkles are disappearing. Natural is better! Before using Immune Pro I used to have terrible frequent breakouts of cold sores on my lips. I have been taking Immune Pro RX for about 6 months and have not had 1 breakout. Thanks! Upon trying the Essona Organics products, I noticed a significant increase in the moisture and suppleness of my skin within a few days. My facial lines (particularly the "marionette" lines) are significantly less pronounced, as are the frown lines on my forehead. And to my delight, my skin has taken on a radiance that I have not seen in years. 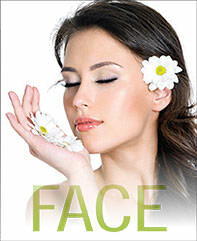 I have been looking for a good skin care regimen that is both effective and safe. Essona Organics may have very well won me over. After using the samples for about 3 weeks, I was very happy with them and the results.